Many times or I would say most of the times in our life we have a needs. Need for money, house, job, good health etc. Bible says in Psalm 23:1 If we have LORD as our shepherd then I shall not want. In simple words, we will not lack anything. Then the question is why we have a need in our life then. It says – But seek you first the kingdom of God, and his righteousness; and all these things shall be added unto you. I like when it says all these things. But in order to receive this seeking first, the kingdom of God is important. In Marathi translation, it says from his Treasure. That means God has a Treasure and from His Treasure, He supplies all our need. Even if we collect all the treasures of the world we cannot reach even 1% of the God’s Treasure. If we see in 2 Corinthians 9:8 it says “ always having all sufficiency in all things”. In Christ, we have no lack. 3 Important things to remember. 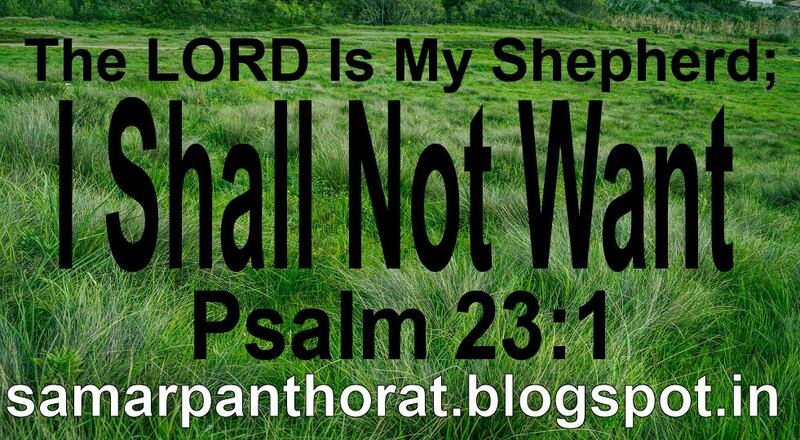 Dear Lord as we come near your throne of grace, as you have mentioned in Psalm 23:1 that you are our Shepherd. We ask you in the mighty name of Jesus, Lord supply our needs and not our wants and help us to seek your kingdom first and trust in your riches.